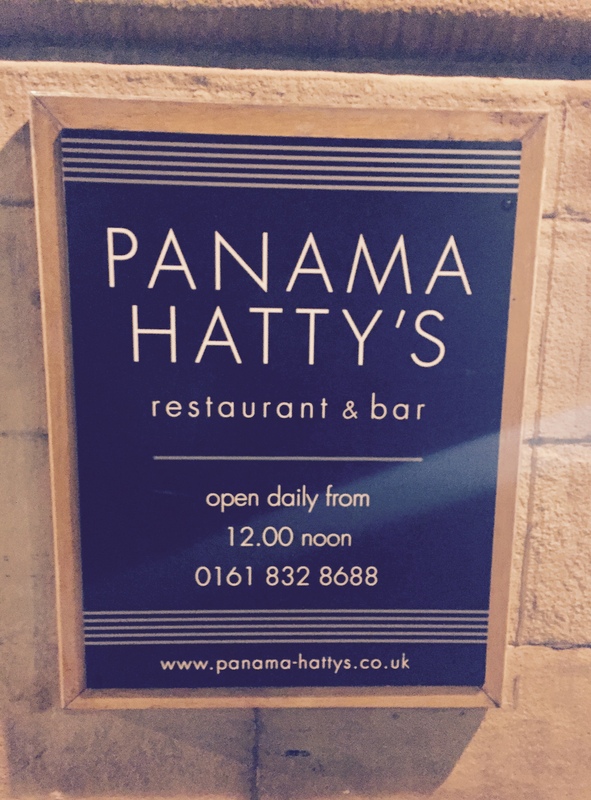 With new restaurants opening in Manchester at a steady rate it can be easy to overlook the well established places when deciding on a place to eat. 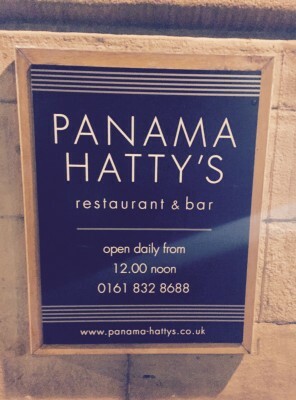 Panama Hatty’s offers a range of dishes from around the world, which are prepared from scratch using fresh ingredients. 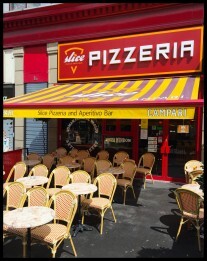 It claims that “there is something for everyone” on the menu – a phrase rarely associated with quality food. But, I had heard good things and the Southwest, Latina, and Mexican corner of the menu was particularly tempting. Basically I’m a sucker for anything wrapped in a tortilla and smothered in salsa and sour cream. When my friend told me that she had a voucher for 50% off food in January (available to Diners club members with a pre-booked reservation), it seemed liked the perfect excuse to schedule a catch up. 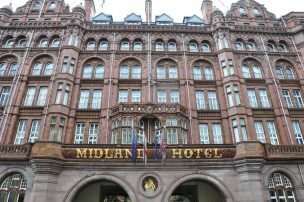 The underground location of the Manchester site, below Agent Provocateur just off King Street, means you could easily miss it. Arguably that makes it something of a hidden gem. Heading downstairs you are welcomed in to a spacious and sumptuous looking restaurant, which for an evening meal mid-week in January, was pleasingly busy. The attentive waiting staff were quick to take our drinks orders and allowed us plenty of time to peruse the menu. I had a tough time deciding between Tex-Mex and a very tasty sounding Lamb Tagine that almost persuaded me to order something without salsa. In the end I couldn’t resit the temptation of the Spicy Chicken Papousas, which are breast fillets with smoked chipotle, wrapped in a flour tortilla and topped with melted mozzarella. The addition of a lamb starter to the specials menu eventually swayed my decision. 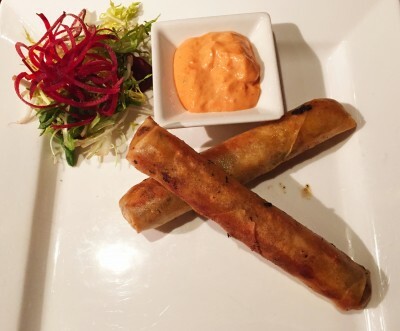 I forgot to make a note of the name but it was a spicy lamb crispy roll, almost a samosa, served with an Harissa sauce. It’s a good job there were only two on the plate as I’d have happily filled up on them at the expense of enjoying my papousa, they were so delicious. 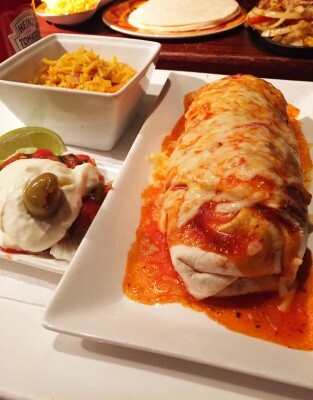 The papousa was pretty much what I would expect from a well prepared Tex-Mex style wrap, with succulent chicken and plenty of sauce and melted cheese. What’s not to love. Despite being ridiculously full after only half, I persevered and cleared my plate – I just couldn’t stop eating it. 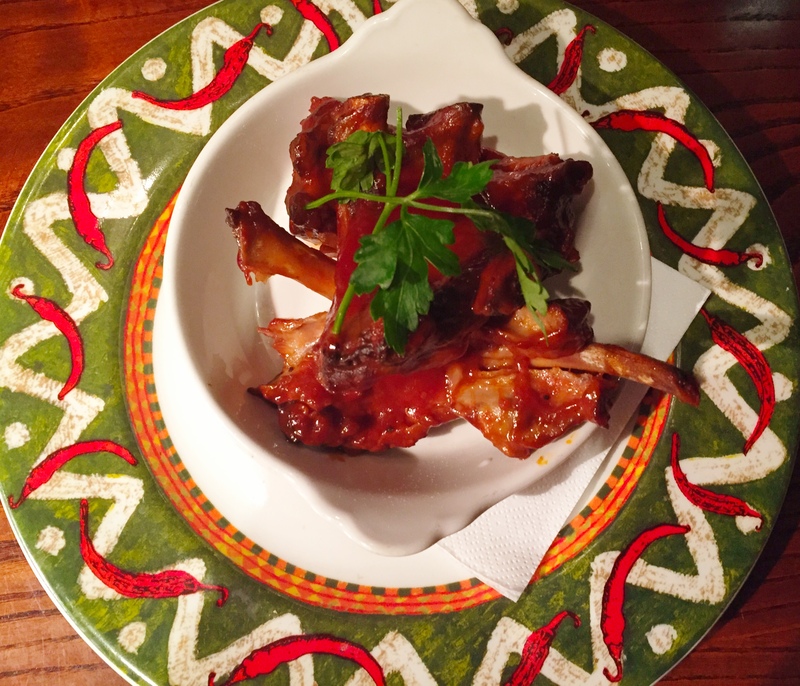 My friend started with the Slow Roasted Ribs, which were so tender the meat fell off the bone, making it possible to enjoy them with a knife and fork – somewhat more civilised than many sticky finger experiences. 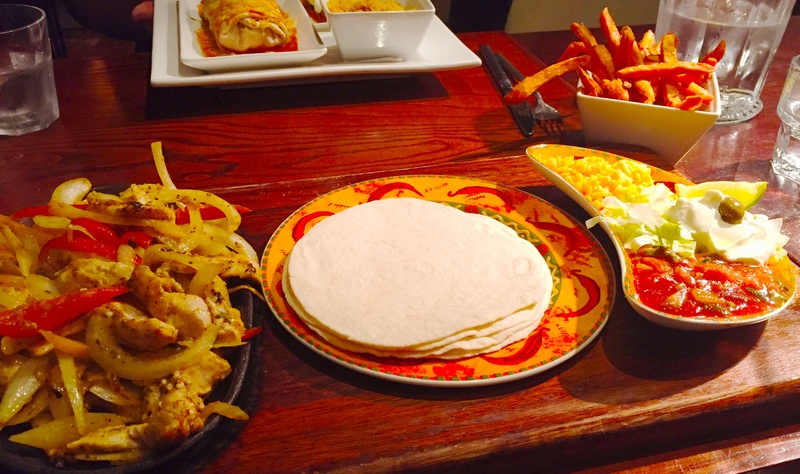 She opened for Chicken Fajitas as a main course. The chicken and peppers arrived on a sizzling skillet accompanied by the requisite sides to create a delicious wrap topped with lettuce, salsa, sour cream and cheese. It wasn’t surprising that she also left her plate clean. 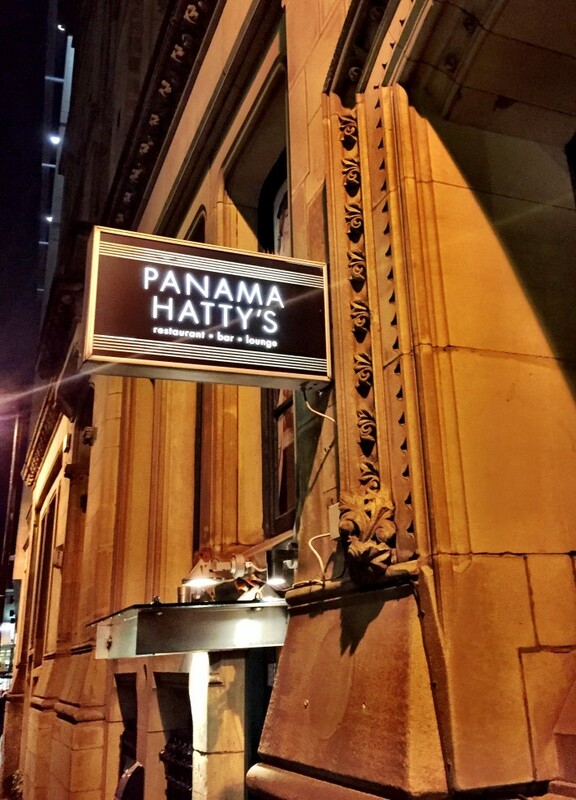 If you visit Panama Hatty’s, my advice is – arrive hungry. Otherwise you won’t be able to do justice to the hearty portions, and trust me, you’ll be disappointed if you don’t. Sounds like another great place to eat.